Democrat Jessa Lewis has announced she'll run for the Washington state Senate that Michael Baumgartner will vacate at the end of the year. 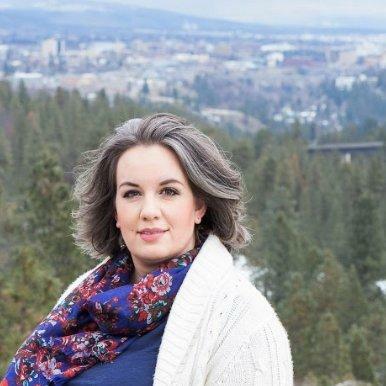 Democrat Jessa Lewis has announced her intention to run for the Washington state Senate seat being vacated by Republican Michael Baumgartner. Baumgartner has announced he will not be running for reelection as a state senator, but rather, intends to run for Spokane County Treasurer. Now Lewis has announced she plans to run for that seat as a Democrat. The Spokane resident’s background is varied. She has worked in various capacities as a timber sale planner, park ranger, and working with the Defense Department on energy issues. Lewis is currently the eastern Washington director of Health Care for All, an organization that is working to promote the concept of a single payer health plan for the state. She says fixing a broken healthcare system is a main priority. “It is too expensive, people cannot get care, critical districts in rural areas are vulnerable. My own family has struggled with getting treatment. The need is urgent, and when you talk to folks that is their number one concern is healthcare, and something we absolutely need to address,” she said. Education is also on her priority list. “I’m pushing for a universal pre-K, to expanding our K-12 facilities, to looking at everything we can do to pass a tuition-free community college system so when someone graduates from school they are set up and can make a living wage,” she said. Lewis believes the Sixth District is a swing district that can support a Democratic candidate as easily as a Republican. Prior to Republican Michael Baumgartner holding the seat, it was held by Democrat Chris Marr. Baumgartner is endorsing Rep. Jeff Holy (R-Spokane) as his replacement.